Puede pensar que viajar a España para un tratamiento dental de calidad es demasiado complicado y costoso. En realidad, su decisión de recibir tratamiento dental de primera clase en Valencia no solo le ahorrará una gran cantidad de dinero, sino que también será una experiencia muy agradable. En los últimos años, con el advenimiento de las aerolíneas de tarifa baja, cada vez más ciudadanos británicos viajan a España para aprovechar nuestros excelentes servicios dentales, muy superiores a los servicios del NHS, y muy por debajo de los precios que se cobran por tratamientos privados en el Reino Unido. During you initial free consultation, or if you send us your most recent X-rays by email, we will recommend the treatment that best suits your requirements, and we will give you a clear idea of costs involved – no hidden extras, and no surprises. Once we agree on how to proceed, we will be happy to help you arrange accommodation in Valencia, and answer any questions you may have. Come with your partner or with your friend, or bring the whole family! 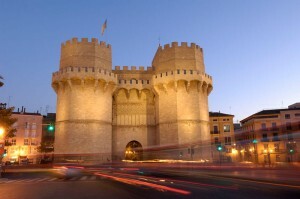 Valencia is always worth a visit and has plenty to offer. Sample our traditional Spanish cuisine, take a walk along Valencia’s beautiful beach front boulevard, sample our vibrant nightlife, or visit the many attractions Valencia has to offer for visitors of all ages. Our step by step guide will explain how our service works and the steps to take when planning your visit. 1. Contact us Contact us by phone or email, or fill out the contact form provided on this website. It would be very helpful if you could let us have your most recent X-rays, as it will allow our doctors to offer definitive recommendations, and maybe even an initial cost estimate. We also offer a free consultation, at which we can explain procedures in detail, finalise our recommendation for treatment, and provide a final price for you. 2. Flights Once you have decided to go ahead and visit us at Art&Dent, you can then book your flights and accommodation. We will be happy to recommend a hotel in close proximity to our clinic. Ask your travel agent or have a look at airlines servicing Valencia International Airport. 3. Arriving in Valencia and Treatment Upon your arrival in Valencia, you will be met by one of our assistants, who will bring you to your hotel in the city. Once you have settled in, our coordination manager will meet with you to explain the next steps and answer any questions you may have. On the day of your treatment you will have to arrive early and preferably with an empty stomach. Depending on the treatment chosen for you, there may be different options for how to proceed with your treatment, all of which will be discussed with you in detail. 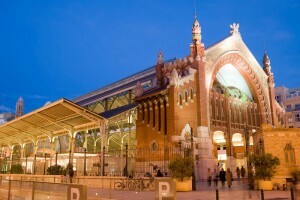 Valencia has a wide range of quality hotels to choose from. You have hotels by the beach, hotels in the city center, big international hotels or small hotels with charm, for example. Booking now! You have direct flights to Valencia from several UK airports. We can help you select the flights that best suit you, so you can book it easily.